Mount Bromo is probably Indonesia’s most famous volcano. Indonesia and Java in particular, is quite an inexpensive place. But don’t worry for traveling South East Asia is generally quite easy for a single traveler. Here, I will give you travel guide to go to Bromo mountain if you decided to visit skip the tourist agency and do it by yourself. Deciding when to go can have significant impact, especially for hunting sunrise on Bromo mountain. Rainy season in Indonesia is from October until April when the sky is cloudy. 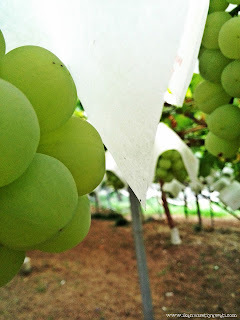 And dry season, it is good timing for outdoor activities around April until October. Opting to go during rainy or dry season help you to enjoy sunrise and milky way on Mount Bromo. When you come on long weekends or public holidays, it helps you to save more than you can imagine, especially for a single traveller. Because first, you can meet other travelers with whom you can split the cost easly. So, you don’t need longer time to wait other travelers. Second, you will get the best view and enjoy unique culture for your collection photos. For more, you should know Indonesia Long Weekend and Festival in 2016. This year, you can see Yadnya Kasada festival. 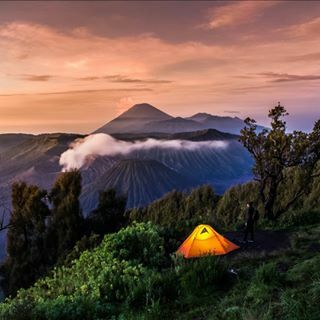 For enjoying Bromo mountain, you need minimum 2 days in Bromo. Booking a hostel or house before is a must. So that you can get the best hotel with the best price. Please choose a room that you want. 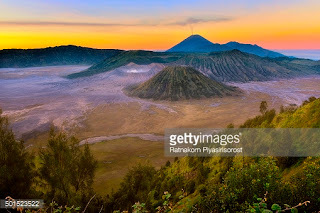 For more, list of hotels in Mount Bromo. Or for alternative choise, if all rooms is full. Just bring your sleeping bag and matress then will sleep on Penanjakan (one of best sunrise view point) overnight. The adventage is you can enjoy the milky way. And the weakness is there is no lamp. So, you need to bring flashlight. The cheapest and easiest way to travel on Java is by train. So that you have to book your tickets in advance because trains can get quite full. You absolutely don’t want to wait for hours because trains is full, isn’t it ? 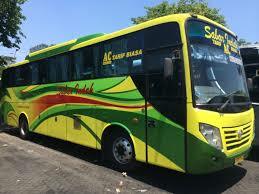 To get Mount Bromo from Surabaya, you should go to Probolinggo by bus. Make sure that you will leave Surabaya early morning. Actually you can use train to go there. But to make it simple, I choose bus. 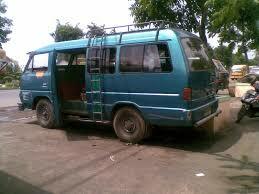 From Probolinggo, take a small bus which called Bison to Cemoro Lawang. But you have to go out from bus station. Bison will take off for Cemoro Lawang (the base of Bromo) when full (10 – 15 people). The last Bison will operate until 4 p.m. Make sure you will arrive before that time. It help you to save more. Just walk across the sand sea by passing the Hindu temple and climb up a set of stairs to the carter opening. Just getting up really early, because you need about a two hour to go there. If you stay in Tengger Permai hostel , just go out from the hostel. Turn right and follow the way. You will find stairs to the Penanjakan. If you choose to sleep on Penanjakan, you will save more. Just spend 56 $ for 2 days on Bromo mountain. Let’s prepare your backpack and enjoy Yadnya Kasada Festival on Mount Bromo ! Kali ini, bukan tentang traveling ke Bromo yanghanya 67$ tetapi tentang studi di Jepang. Ketika itu, aku sudah lulus kuliah, jurusan Sosiologi di Universitas Sebelas Maret (UNS), tapi masih ngekos di sekitar kampus. Nah, kebetulan kosku itu dekat dengan wisma seni, semacam tempat menginap sekaligus tempat nongkrongnya para bule baik itu yang exchange student di UNS atau Institut Seni Indonesia (ISI-Solo) juga turis. Dari zaman kuliah memang sering banget nongkrong disana. Lumayanlah bisa belajar bahasa Inggris gratis. As usual, dengan modal SKSD (sok kenal sok dekat), aku berhasil kenalan dengan teman dari Chiba, Jepang. Namanya Takako Tsuji, dialah yang mengenalkanku ke Takanobu Shiina. “Mbak Ika, rencana mbak ika habis ini mau ngapain ?”, tanya Taka (Takanobu Shiina) dengan bahasa Indonesia-nya yang fasih banget. Recently, Japan created a new public holiday. In 2016, it is gonna be the third-times for "Mountain Day" (which well known as "Yama no Hi") with the goal is "to give opportunities to get close to mountains and to the appreciate the benefits of mountains." In my case, I don't want to leave this day without doing nothing. So, how lucky I am. My friends (called "older sister" will be comfortable for me) invited me to join her trip with her boyfriend for free. WOW ! Of course, with my pleasure I will. As a student who survive without any scholarship in Japan, this opportunity better than scholarship student gave. In add, I have already came to Japan, also my japanese language was so bad. "I will take this opportunity. I can enjoy Japan and learn japanese with native (her boyfriend is Japanese). Got it ! Double advantages," I said to myself and looking at my face on the mirror in my room.